Our Bluava® Organic Agave Nectar has long been associated with pure premium goodness. Planting, harvesting, production & packaging are all done under one roof with the highest certifications in the marketplace and we are now pleased to offer this exclusive bulk brand in retail bottled product. Starting from the ground up we built a look designed at continuing this brand integrity and trust with customers by designing a patent agave bottle with raised agave leaves. This ergonomic design feels good in your hand and features a silicon valve no-drip cap for easy dispensing of this sweet product. The easy to read label and T-top tab specifies uses, color and types of agave offered; light, dark & raw. 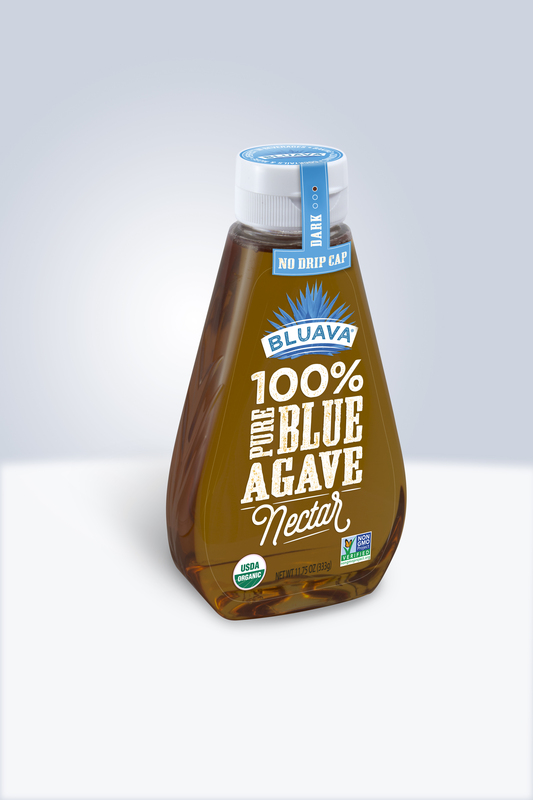 This exclusive agave bottle is available in 11.75 oz and 23.5 oz sizes. If you’re looking to add something special to your store shelf, look no further. Are our agave syrup products right for you? Learn more about our agave syrup or contact us for a quote.